This comprehensive whitepaper covers many areas relating to magnesium including: Why magnesium is important; How the body handles magnesium; Health consequences & benefits; Getting enough magnesium; Subclinical magnesium deficiency, heart disease, and a public health crisis; and why whole food magnesium is the key. Magnesium is an essential nutrient for human health. 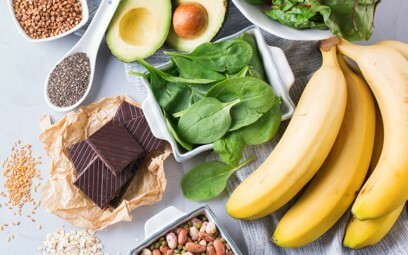 Deficiencies in magnesium increase risk for serious chronic diseases, whereas increased intake through improved diet and/or supplementation can improve health status and reduce disease risk. Unfortunately, current evidence indicates that half or more of Americans currently have some degree of subclinical magnesium deficiency. Increasing magnesium intake requires greater consumption of whole foods (unrefined grains, vegetables, fruits, nuts) and reduced intake of refined or processed foods. For many people, the addition of a magnesium supplement may be required to replete magnesium stores and maintain healthy magnesium levels over the long term. Plant-based magnesium supplements take nutrients from naturally occurring sources of magnesium, like Swiss chard. Why use them to augment a whole food-based diet? First, the SAD (Standard American Diet) lacks sufficient levels of many essential nutrients, magnesium included. Plant-derived supplemental magnesium can help people deficient in the nutrient to achieve a healthier magnesium status.